Any idea how to get this flash, once it’s available, in the Milwaukee, WI area? Epic!! Hopefully they shorten up all the lags in the throttle, allow a little boost buildup on launch etc. Will it void the warranty. Anytime you tune a vehicle it voids the manufacturers warranty. Some would argue it's prudent not to mess around until after the manufacturer's warranty has expired, but risk tolerance is a very personal thing. Personally, I would argue it's prudent not to mess around unless you're capable of repairing whatever you might grenade with the mods! Unless, of course, you're so wealthy you can afford to scrap the vehicle and start over, but then why not buy an exotic car? Yes not worth it to get bit more power risking loosing manufacture warranty.. Does Acura have a way finding out if you had hondata installed before and if you removed it? I cannot speak to Honda ECU’s, but several manufacturers can monitor, through the ECU, the number of write sessions and changes to the ECU. It's very likely that Honda will find out if you have done anything to your ECU. They can do so by checking some sort of "key count" in the ecu to see how many times the ECU has been reflashed. I guess one way you can get around that is to clone your ECU so that you will have two identical ECUs, then flash one of them. It's more money for sure but this should get around any warranty issue. Got a problem? Swap the stock ECU back in the car and bring the car back to the dealer. Otherwise, the way I understand how warranty works is that the law states that the warranty cannot be voided unless the manufacturer explicitly proves that the reason for failure was the modified part. So if you flash your ECU, and then your adaptive dampers fail, they gotta prove that these are related, which would be nearly impossible. I ran Hondata on my 2007 RDX for 4 years, 80000km +, without any issue. These tunes are usually fairly conservative as Hondata/Ktuner can't really afford to be too aggressive with the tunes and mess up everyone's car. This is especially true if you are just going for a Stage 1 tune. But yea, it's always a risk and it's up to you whether you want to mess around with a new car with warranty. on the flip side; when the Caddy ATS' came out; a co-worker had used a canned tune, or a tune in a box and blew the ATS' 2.0 motor..
New member here, just purchased an RDX A-Spec a few weeks ago, and started following this thread about the Hondata tune. Got curious to find a release date so I called them directly and spoke with one of their reps. He confirmed the stated HP and TQ gains of 25/25, and also confirmed the flash pro should be released in about 2 weeks! I did ask about plans for a more aggressive tune similar to what the 2018 Accord 2.0 since its the same engine, and he mentioned the limiting factor in our RDX is the fact we have a plastic intercooler, which leads to a ton of heat soak. Seems odd to me it would be plastic, I will confirm this when I get home later. Given the car is so new, there are currently no aftermarket options for an intercooler as of now. I asked about intake/downpipe, and he said they are not offering any real gains. I'm planning on jumping on this flash pro soon as its released, so I will be sure to report back. Also, reading through this thread, I'm seeing a lot of inaccurate statements being made such as "any tuning will void your warranty" etc. This is not true. I'm new on these boards and not looking to ruffle feathers but people should do some research before making statements like that. Google Magnuson Moss Warranty Act aftermarket parts. There's plenty of real info on the web for you to make an educated decision on tuning or modifying your car. That's all ill say about that. Whoa! Keep me posted - I'm very interested. Will do! Not sure what kind of interest well get on here but there's always the opportunity for a group buy. They usually like to get around 10 or so, it can knock off as much as 25%. Just a thought, I'm in! Definitely in, if thats an option! If Honda or Acura can determine that you messed with the ECU by checking the flash counter they certainly can and will void your warranty! You would have to have a failure that resulted from the tune. An over boost condition for example. The dealer would have to prove that. They certainly can prove that if they wanted to. But what I believe your saying is they can detect a tune, and if they find one, they will void your entire warranty. And that is not true. You cant have a warranty claim denied for an a/c compressor due to a tune. Do you honestly think Hondata puts out software that pushes even the conservative limits of the engine or drivetrain?? They wouldn't be around very long if they did. I'm not here to debate this, I have been tuning for 10 years without any issues at all. I want to talk about the flash pro coming out in 2 weeks. They can and will void any component of the warranty that involves something affected by the tune. I.e engine anf transmission, possibly drive shaft, AWD unit...etc. But they cannot void things unrelated and as per the magnuson moss act, they do have to prove it was the reason for failure but some dealers still get around that. Atomsplitter ...you are a bit misguided my friend. Listen to RDX10 and heed our replies. Don't kid yourself...a tune is a very bad thing to do while you are under warranty so do so at your own risk but don't tell others the law will protect them when, most likely, it will not. That act was designed for things less invasive but, again, do as you wish...it is your RDX! Key here is that Magnuson-Moss Warranty Act addresses only replacement after-market parts and routine maintenance. Modifying the engine control computer programming logic is well beyond the scope of the act. Other popular modifications might likewise be problematic. Companies sell aftermarket modifications for Electronic Control Units which range from new programming to high performance replacement units. The net result is that the engine is now being controlled by a program unlike the one your car shipped with. Manufacturers know these mods exist and these will also run afoul of warranty coverage. Many Owner’s Manuals specifically state that warranty coverage does not extend to changes to the vehicle’s “configuration” and this limitation is not forbidden by the Magnuson Moss section cited above. The manufacturer is not requiring you to use a particular brand of item or service, they just don’t want you using one that is altered to different settings than those configured at the factory. Or, put it this way: If your ECU went bad and needed replacement, you could replace it with one of any brand you liked, so long as it controlled the engine the same as the original. Go to the Hondata website and pretend you have a 2018 Accord 2.0, and see what it says. Ok. Appreciate the feedback. Tuning is certainly not for everyone! Hope you all are enjoying the new RDX as I believe it is an amazing vehicle. Just want to untap the potential under the hood. I’ll start a thread in the performance parts section for anyone interested in a group buy/my review. And securityguy I pretty much said exactly what rdx10 said no? I agree they can deny a claim if it was caused by a tune. Just like they can deny a claim for not changing your oil at proper intervals, or taking it to a track, or any number of reasons for that matter. It all comes down to your relationship with your dealer and how you care for you car. Hopefully Hondata does more than just the hp bump. It would be nice to have some of the torque management / throttle response issues addressed too. Acura can't legally void your ENTIRE warranty because of an ECU tune. "Obviously, an aftermarket camshaft or a hopped up ECU won’t void the entire warranty on your car. The master cylinder failed? The blue tooth quit working? Unless there is a logical connection between the mod and the part or system that failed, you should be good to go." I'm sure some service advisor might try to claim things aren't covered anyways but that doesn't mean they are right. I mean, people are trying to get new brake pads because of squealing under warranty for months from Acura and Acura still can't figure it out, what makes you think they can actually figure out the cause of your warranty issue is related to your tuned ECU in a service visit? If they can't prove its related, they have to fix it under warranty. Personally, that is a fight I'd rather not have so I'd probably avoid an ECU tune, but claiming your entire warranty is voided by an ECU tune is not true. I never said they could. My point (in the very first sentence) was the Magnuson-Moss act itself isn't applicable to the issue of tuning because it applies only to after market replacement parts and routine maintenance. The quoted excerpt from the article expands on that point as it relates to 'tuning'. True, but there is ample speculation that the point of the "torque management" is to protect the transmission. This seems credible. The 2.0T engine in the Civic Type R is more aggressively tuned than the one in our RDXs, but it has a manual transmission. I'd be more worried about blowing the 10AT with a "mild" tune than the motor. But either one would be a very expensive mistake. Let's look back at the 1G RDX and TSX when Hondata wasca big deal back in the mid 2K's, what happened then? I'd just say pick up a 2nd ECU, but that may be tricky with such a new car, atleast, finding one easily or cheap. But still, how did so many people get away with flashing their cars 10-15 years ago? They didn't brag about it on Facebook? But my naive assumption is that the anonymity of car forum posts would be resistant to legal discovery. In contrast, Facebook is pretty transparent. I suppose in theory someone could delete their Facebook account before they tried to get their car fixed under warranty, but it seems like most members of the "younger generations" would rather wrap their car around a concrete bridge abutment. Anyway, I was just being snarky. But I'm old enough to remember when privacy existed. Now, if it's really obvious it's been tampered with that might make a difference, also, setting up your privacy on FB is also serves as a great defense. In fairness I agreed and disagreed with certain aspects of both of your statements. Besides, aside from the warranty, I don't have faith in the transmission yet and furthermore with the gas getting into oil issue cropping up...a tune that injects more gas could end badly in the warranty department. It is the transmission I'm more concerned about in terms of a tune than the engine. 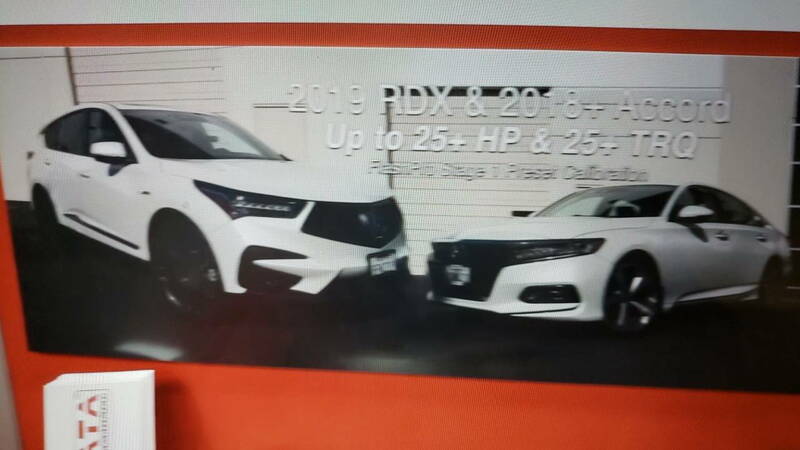 It supposedly has a 275lb/ft limit according to some official Honda documents iirc so it seems like it's at the top of its' limit with the RDX in stock form. That measly 1500 pound towing capacity is really telling to me. Yeah. I thought about that. Don't be the guenia pig here. So Acura attached an engine capable of 280 lb/ft to a transmission with a limit of 275 lb/ft? You raise a good concern, and its worth looking into for sure. I just cant imagine that's the case. Can you show us where you may have read this?